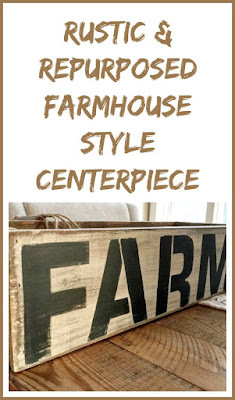 When a client saw a crate she liked on my friend Jane's page called Grit Antiques, she asked if I could duplicate the project for her. "No problem" I said. I can do that.... Maybe. The problem was I didn't have any old wood to duplicate the look so I searched around the basement for something I could use. 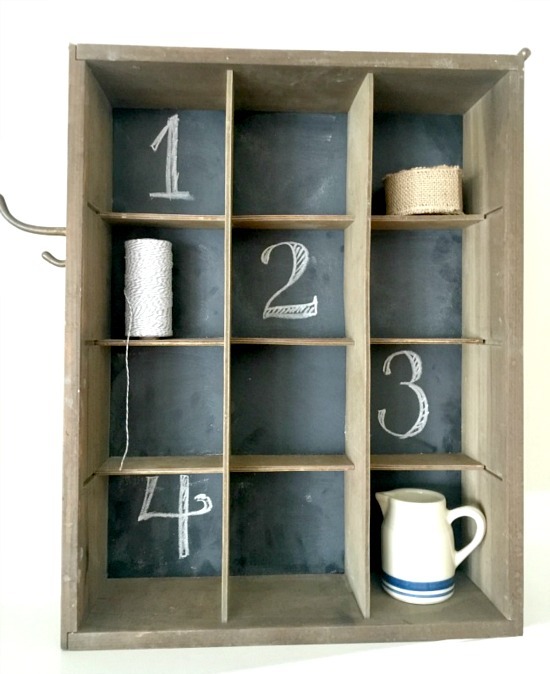 I had this old Chalkboard Cubbie project that I never sold and was just using for storage. 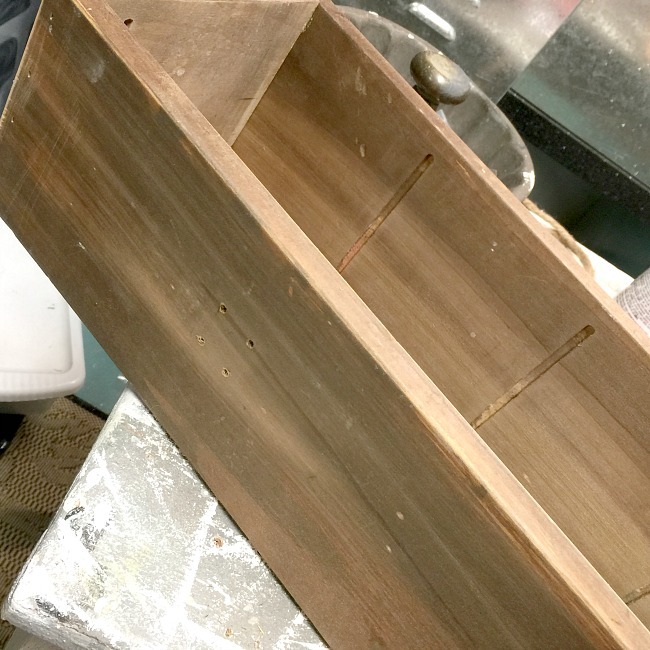 The stained wood on this box would be a perfect base! 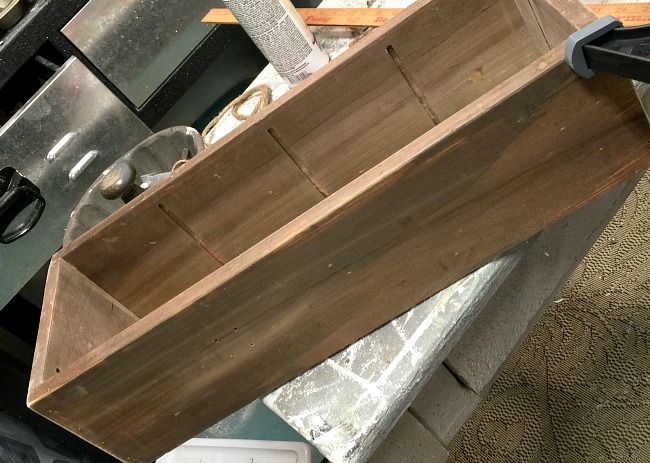 I pulled the box apart and rebuilt a crate the size I needed with the wood from the cubbies. 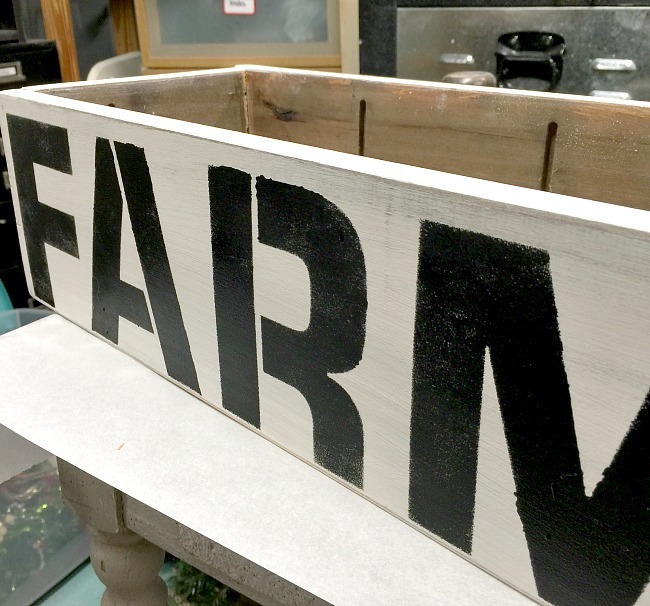 Wood glue, a nail gun, and clamps were put to work transforming the cubbies into a DIY farm crate. I am trying a new paint for this project. I'm trying Country Chic Paint in a color called Simplicity. 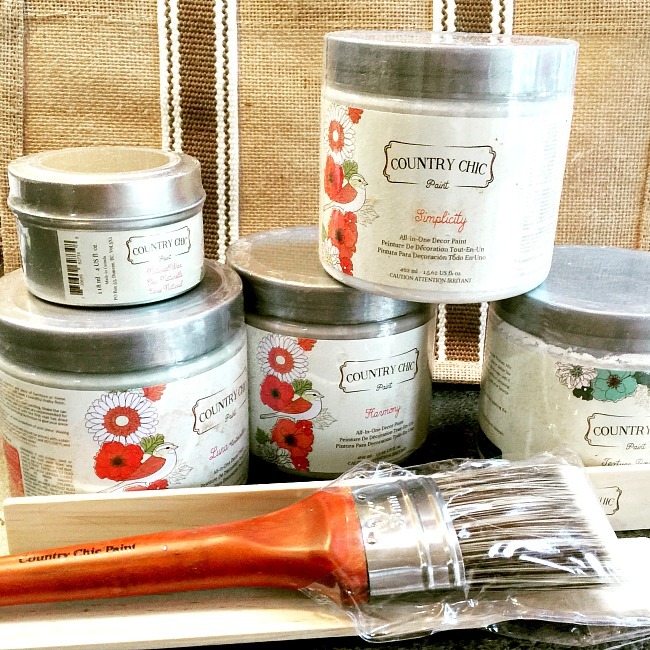 Country Chic Paint is a beautiful furniture paint specifically designed for DIYers with a love for refinishing furniture and home decor. This fabulous paint is eco-friendly and contains no harmful solvents. The paint has a beautiful matte finish and distresses beautifully with sand paper. 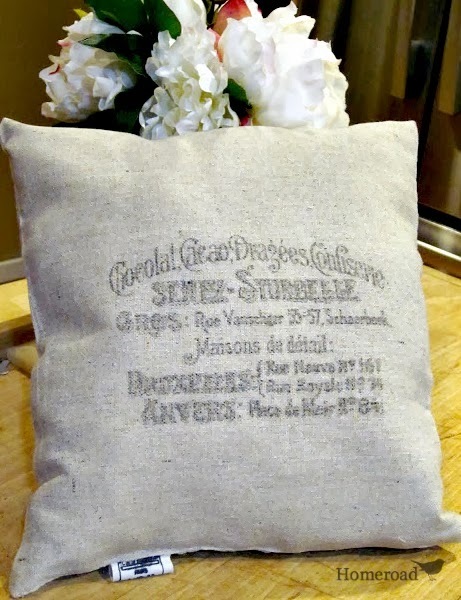 It was perfect for this project because it distressed so easily. 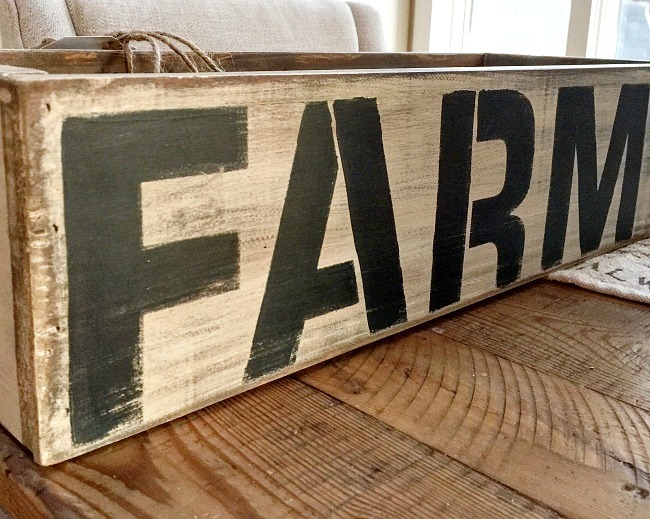 I used part of a beautiful, large FARMHOUSE stencil from Old Sign Stencils by Funky Junk Interiors to create the word FARM for the crate. 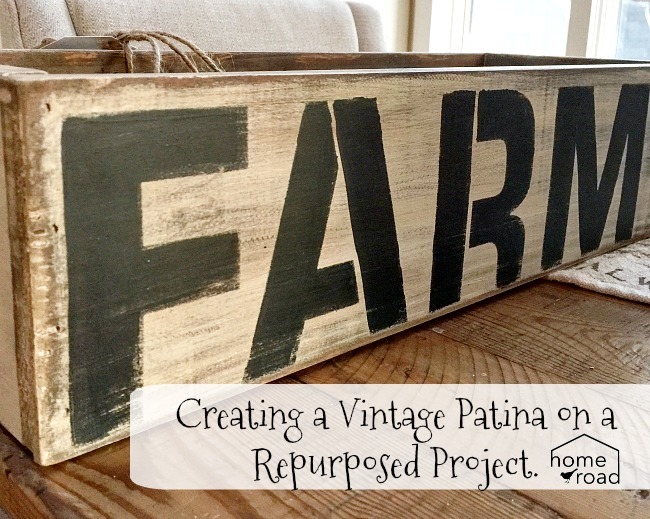 Dark wax over the paint created an old patina that was just what I was looking for on the crate. The crate turned out just as I had hoped. A perfect old looking crate inspired by the one my client saw on Jane's blog. 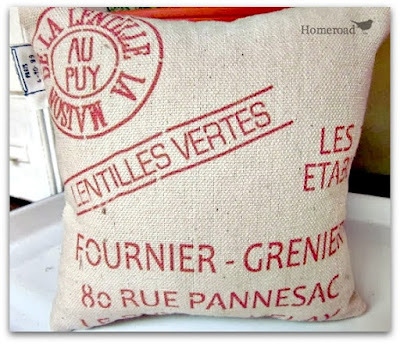 Funny thing is when you go to see the project on Jane's blog her crate was a little bit different than this one after all... see what I mean! Thanks for your mention of the stencils!